The term ‘Joyo Audio UK Ltd’ or ‘us’ or ‘we’ refers to the owner of the website. Our company registration number is 09011786 registered in England and Wales. The term ‘you’ refers to the user or viewer of our website. 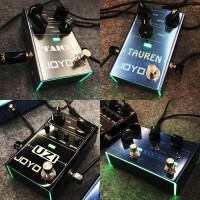 1.5 "Seller" means Joyo Audio UK Ltd and all trading styles of Joyo Audio UK Ltd.
15 INTELLECTUAL PROPERTY - JOYO Audio UK reserves all intellectual property rights in all written materials, images, texts, illustrations, designs, logos, photographs, marks and names found on this web site. Access to this site does not confer permission to use, and shall not be considered as conferring any license under any of JOYO Audio UK intellectual property rights. 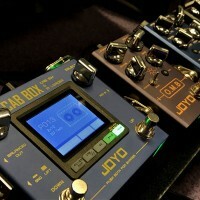 The use of images, text or audio samples are not permitted without prior permission from JOYO Audio UK.